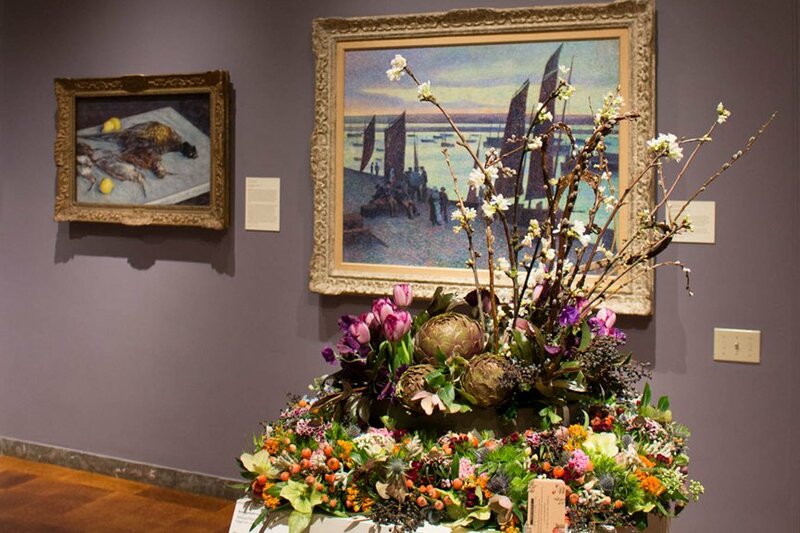 Welcome spring and join the Springfield Museums for the annual Festival of Flowers, Thursday, April 4–Sunday, April 7, 2019. This beautiful and creative annual celebration attracts more than 4,000 people to the Museums where visitors can bask in the beauty of floral arrangements created by local florists, designers, and garden club members. This activity-filled festival also includes favorites such as special lectures, Museum School classes, and a Culture & Cocktails event for adults that features a floral demonstration. Visitors will also enjoy a Music Series, Friday through Sunday, that adds atmospheric music to the experience of seeing the flower displays. This new series includes “The Cat’s Chorus,” an a cappella group from the Community Music School formed specifically to work with The Springfield Museums. 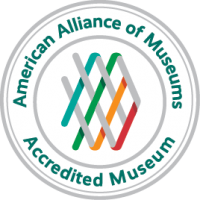 This is a special project of Jenny Powers, the Family Engagement Coordinator for the Museums. “I love working together with the Community Music School,” Powers said. “The children and youth there always inspire the people listening to their music!” The group will perform on the Festival of Flowers Family Day April 6 from 1-2 pm. The Festival of Flowers has become one of the most anticipated moments in the Museums’ calendar. Free with museum admission. Please see full schedule below. For more information, call 413-314-6486 or email lmurray@springfieldmuseums.org. Presenter: Amy Kurtz Lansing, curator, Florence Griswold Museum. American Impressionist painters delighted in depicting gardens as places for rest, rejuvenation, and creative experimentation. Gardens and the emerging field of garden design became avenues for navigating societal shifts underway during the Progressive era, a phenomenon expressed by American Impressionists on canvas. This lecture will explore the art of Childe Hassam, Willard Metcalf, Matilda Browne, and other Impressionists for whom the garden was a muse. $2 members; $4 nonmembers. Celebrate Festival of Flowers with signature cocktails and creative hors d’oeuvres. View the interpretive arrangements in the art and science museums while enjoying music, a floral demonstration by Durocher Florist, and hands-on activities. Visit The DIY Flower Workshop to create your own bouquet to take home. $10 members; $20 nonmembers. Sponsored by MassLive and The Republican. Reservations: Call 413.263.6800, ext. 379, or visit SpringfieldMuseums.org/flowers. Bring Festival of Flowers home with you! Join Springfield Florists Supply staff and Museum educators to learn about cut flowers and design your own bouquet or arrangement. Join experienced docents as they discuss the interpretive floral arrangements and the museum objects that served as inspiration. Tours will begin on the hour. Visit the Welcome Center for locations. Enjoy an hour of atmospheric music while viewing the floral arrangements in the galleries. Children will explore the world of flowers through hands-on activities. Prepare wildflower seeds for planting, arrange your own bouquet, dissect a flower, explore printmaking with plants, touch flowers from around the world and learn the language of flowers. Use wildflower seeds, clay, and soil to prepare seeds for planting almost anywhere! While the rest of the flowers across the museums today are artfully arranged and hands-off, these blossoms are hands-ON. What do rose petals feel like? How about carnations? Explore a variety of textures at this do-touch station. What does the gift of a red rose mean? How about a yellow carnation? Explore floriography by guessing the meaning of a wide variety of different types of flowers. Learn the parts of a flower and carefully cut and take apart a specimen of your own to see the inner workings of these beautiful plants. Seating for this activity will begin every half hour and small children will need caregiver assistance. Trace Chinese characters, try on costumes, play gallery games, peek under lift-up panels on the Wall of Symbols to discover the meaning behind Asian motifs, put on a puppet show, and make an art project. Today: Printmaking with Real Flowers! Instructor: Lisa Regopoulos. Working from a floral arrangement in Festival of Flowers, learn how to capture a still life in pastels. Beginning with a demonstration, explore the application, effects, color massing and tonal values, as you complete a drawing from start to finish. All levels of art experience. Please bring a brown bag lunch. Supply list provided. $75, members; $88, nonmembers. Instructor: Annette Chittenden. Zentangle is a tool that can increase focus and creativity, relieve stress, inspire new ideas and beautiful creations and allows you to deliberately shift your thoughts without trying. No experience required. Each participant will receive a Zentangle kit. $45, members; $54, nonmembers. Instructor: Ruth Loiseau. Enjoy a glass of bubbly as Loiseau guides you through the steps to create a stunning floral arrangement for your spring celebration or Easter table. Ruth is a nationally Ruth is a nationally recognized floral designer and a special events florist at the White House. $60, members; $70, nonmembers. Instructor: Robert J O’Brien, AWS NWS. Awaken to the vibrant colors of spring in all of its New England splendor. The class will begin with a demonstration followed by class painting, and a critique at the end of the session. Open to all levels. Supply list provided. $160 members; $188 nonmembers. Oh the Places You’ll Go with the Cat in Tow!